This is an ideal trip for those who want a demanding week's walking, stunning mountain scenery and the added challenge of the winter environment. 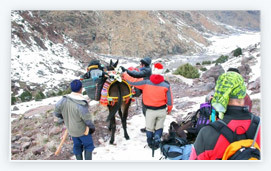 The ascent of Toubkal is not technical but does require some scrambling and the use of crampons and ice axes. The amount of snow can of course vary greatly!